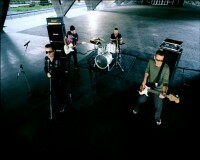 U2 shot this video during their promo tour for the ATYCLB album in Rio de Janeiro. Their second clip with Jonas Jonas Åkerlund (“Beautiful Day” being the first.) The video opens with an airplane landing, carrying on the flight and travel theme of previous videos. 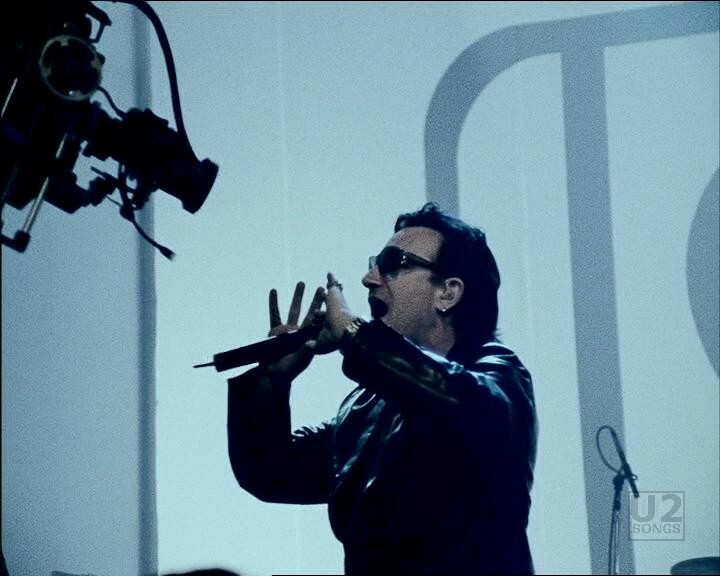 We then see Bono waking up in a hotel (?) and going out onto his balcony for a stunning view of Brazil, where he is joined by the rest of the band. The video then switches to views of the band interacting with fans in Brazil, signing autographs, and taking photos. There are two sets of performance footage used throughout the video, the first from the televised performance on Globo TV which was filmed on November 23 at their PROJAC rede Globo studios (although they didn’t perform “Walk On”). 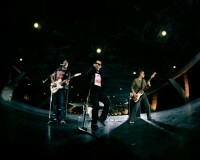 The second set of performance video was filmed at Museu de Arte Moderna in Rio, as the band plays outside the museum. 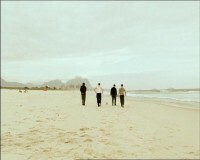 There is also footage of the band playing soccer and enjoying some vacation down-time in Brazil including a visit to Escadaria Selarón. The video does have some less picturesque views of Rio, focusing on some economically depressed areas and showing footage of the children living in them. 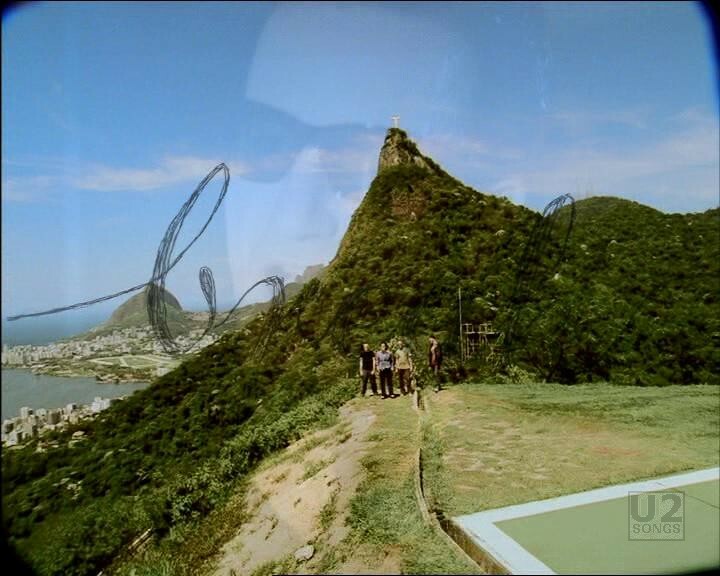 The video ends with U2 driving in a car to a helicopter pad with a scenic view of Rio including the Christ the Redeemer statue in the background, and then aerial shots of the statue. After the video ends we see Aung San Suu Kyi on television stating, “This is not yet the end, there’s a long way to go, and the way may be very very hard, so please stand by” after the music fades. The video was originally planned to use the video shot in London which was used for promotion elsewhere, but U2 were taken by the surroundings when they found themselves in Rio and called Åkerlund to ask if he could join them just the day before filming began. “We had already defined the clip’s concept, that it should be shot at England. But, as soon as we got here, we thought: “No, this is the place for the video”. 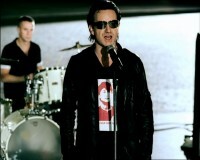 Here you have the ideal vibe for a song like Walk On,” said Bono on local Rio de Janeiro news. The first day in Brazil included a press conference on November 22 and some filming in the streets that evening in and around the area known as Lapa including the footage at the steps. 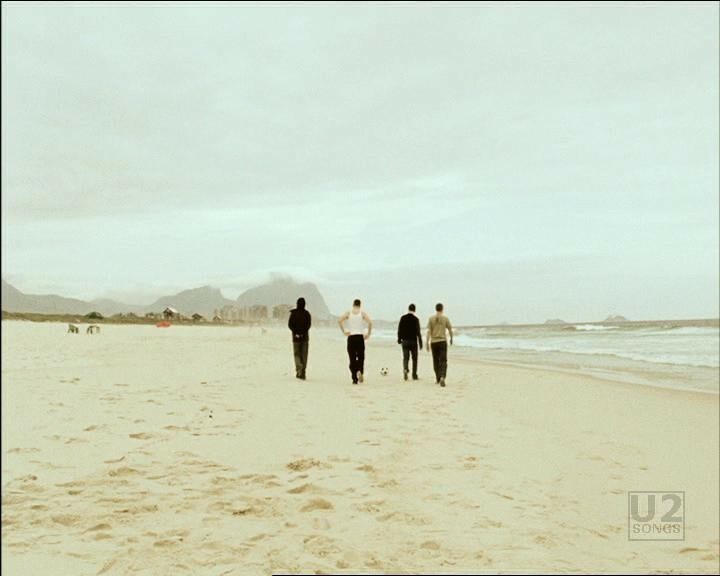 Additional footage around Brazil was shot on the day of the 23rd, before the performance at the Globo TV studios. The bulk of the outdoor performance footage was filmed on November 24rd, and cameras were rolling at Museu de Arte Moderna starting at 9am and filming continued until 10pm. The filming was interrupted by rain and Bono took a break from the filming to sing “Summer Rain” with fans who had gathered. 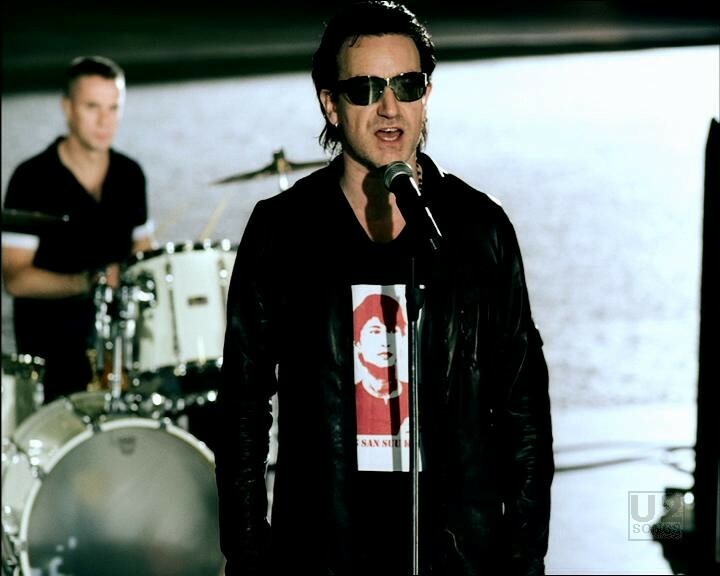 Although filmed in November 2000, the video itself would not be released until November 2001, debuting on u2.com on November 2, 2001. 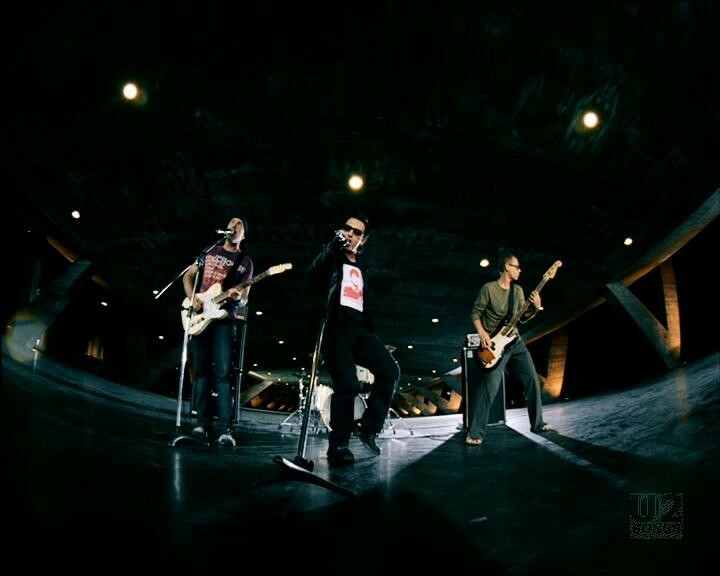 There was a different video issued for the North American release of the single which happened in the fall of 2000. 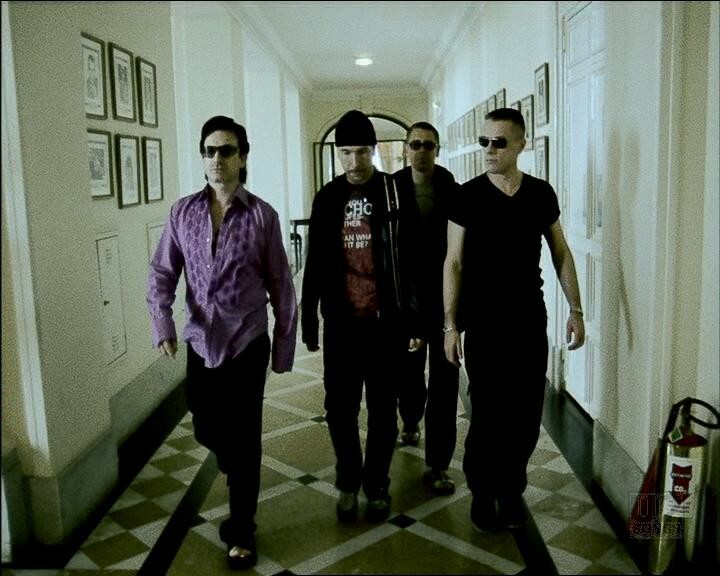 "U2 - “Walk On” (Single - Europe, Asia, Australia)"
"U2 - “Walk On” Single (Canada)"
"U2 - “Walk On” Promotional Release"